When negative behavior goes unchecked, it can easily get out of control, because negativity and hate are contagious. AARON JUDGE IS A HUMAN HIGHLIGHT REEL OF HITTING AND FIELDING. When the baseball phenomenon isn’t knocking it out of the park, Aaron goes to bat for #ICANHELP whose mission is to empower students to use social media positively. And that by drawing on kindness, respect and compassion, we can break the pattern of online negativity together. 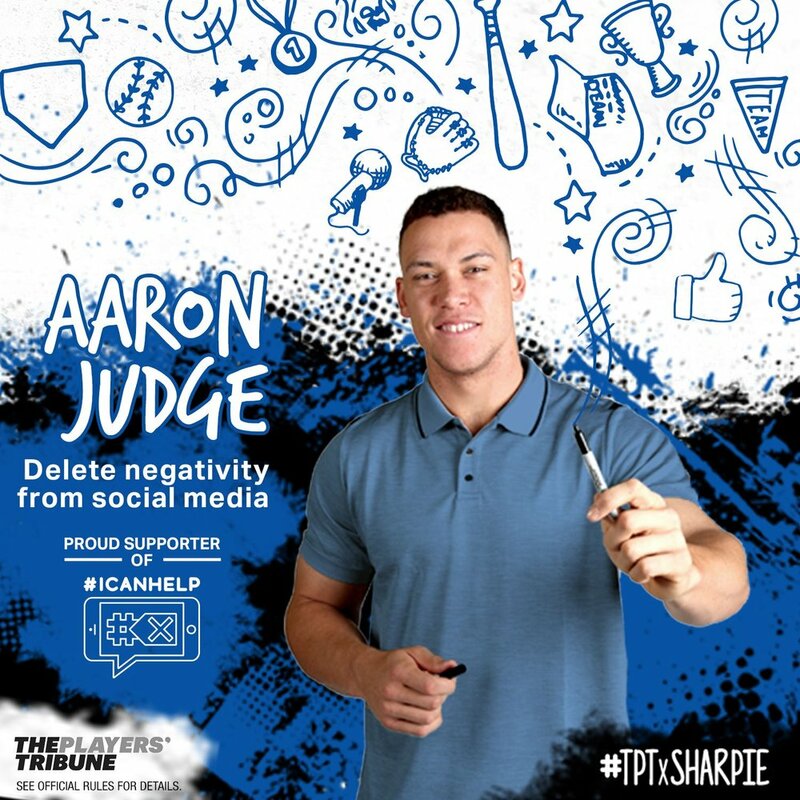 Sharpie is proud to support Aaron Judge and the efforts of #ICANHELP to set positive change in motion. Because social media should be a positive and welcoming place for all of us to come together. Learn how you can participate in the #uncap campaign by clicking on this link. Click on Donate to support students looking to #uncap the possibilities at their school. Check out how #ICANHELP students are "Uncapping The Possibilities"
Students at Ygnacio Valley High School share advice along with being celebrated for achieving their goal of graduating high school. How do you celebrate and promote positive accomplishments at your school? Adam wanted to see more people smile on his campus, so with the help of his friends, he created Smile Cards, a way to tell students how much they are appreciated at CHHS. Two students wanted to make their school more positive, so they started Bristow Compliments page on Instagram. Bristow Compliments is dedicated to complimenting all students on campus. After starting the page, the founders discovered that they created a more positive campus climate and culture. In fall of 2015, Loara High School in Anaheim California started an Instagram and Facebook page in an effort to highlight stories on their campus and improve school culture. Here from Gabriella and Katherine as they share their experiences creating this culture changing movement on their campus with the help of their advisor Mr. Chylinski.